There is an unrefined charm to this early Tudor coaching inn. Wardrobes are built around 600-year-old beams, service is pleasingly eccentric and sturdy logs are yours to throw on the vast hearth. The floorboards, meanwhile, are so warped that one can feel a little drunk as you navigate your way to one of the five en-suite rooms. Cosy woollen rugs and a calming, grey-beige colour scheme (think rustic Laura Ashley) will make it tempting to hide away for days. Explore you should, though. 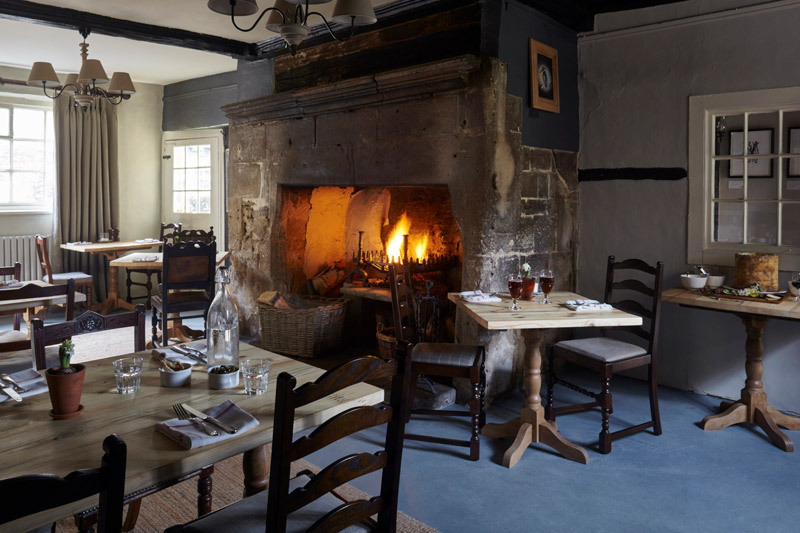 The inn is situated in the Cotswolds borders village of Lacock, which includes chocolatiers CoCoChemistry, the rustic Lacock Pottery, and Lacock Abbey – home to the Fox Talbot Museum and one for photography buffs. 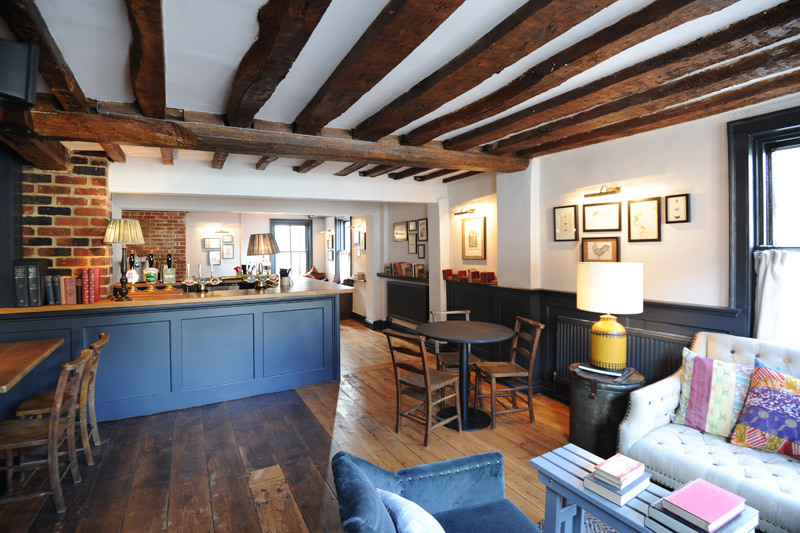 One of six establishments dotted across the Home Counties with the same name, Kingsclere’s Bel and the Dragon never feels like part of a small chain. 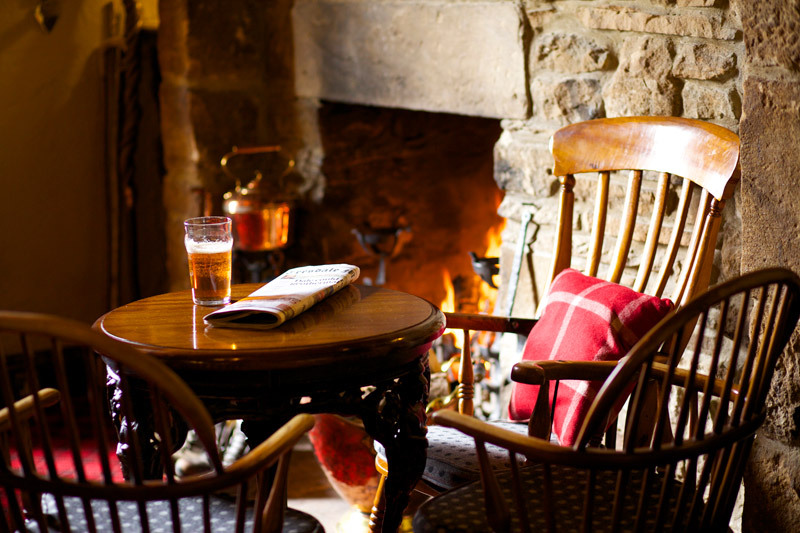 On a Friday night, the bar bustles with locals enjoying the 15th-century ambience of open fires and guest ales, while the restaurant is punchy enough to attract weekenders visiting Highclere Castle – the ‘real’ Downton Abbey – nearby. Look out for steaks cooked on the 300-degree Josper Grill. Upstairs, nine rooms offer White Company linens, Roberts radios and complimentary gin and whisky, while the residents-only drawing room has well-thumbed books on every windowsill to enjoy while stretching out on a sofa. Situated on a historic route used by Scottish cattle drovers for centuries, this stone-built lodging house opened in 1705. Folk hero Rob Roy was one of many to stop here and his grave lies 27 miles away. 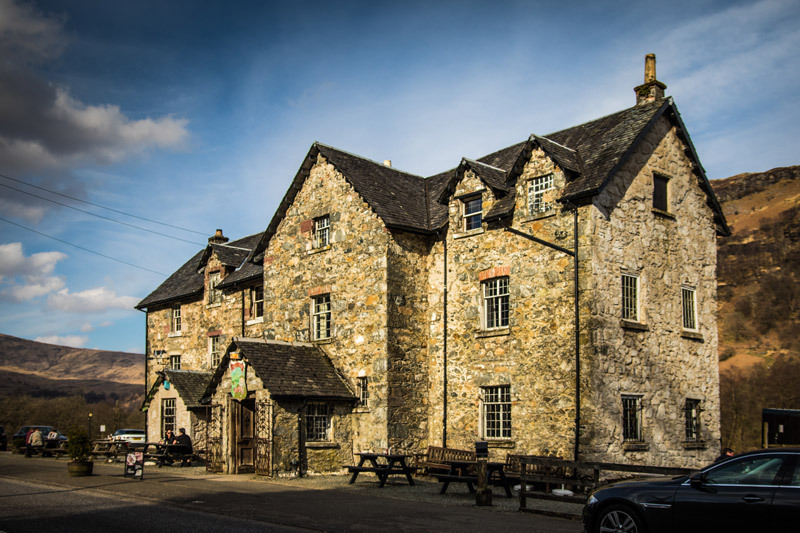 Since 1980, this cheerful inn has also found itself falling on the newly designated West Highland Way, a 95-mile trail from just outside Glasgow to the foot of Britain’s highest mountain, Ben Nevis. The main 15-room inn is rumoured to be haunted, so the faint-hearted should opt for the modern chalets across the road instead. The restaurant, meanwhile, offers traditional favourites like haggis with “neeps and tatties” (mashed swede and potato) that will leave you more stuffed than the taxidermy bear guarding the front door. 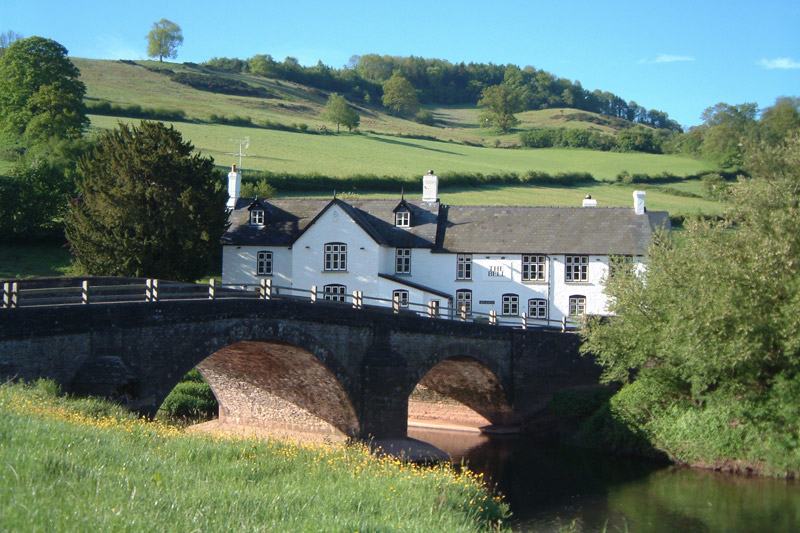 So unspoilt is the countryside around Skenfrith that one can almost picture the joy on a weary 17th-century traveller’s face as they crossed the bridge over the River Monnow toward the lights of this welcoming coaching inn. 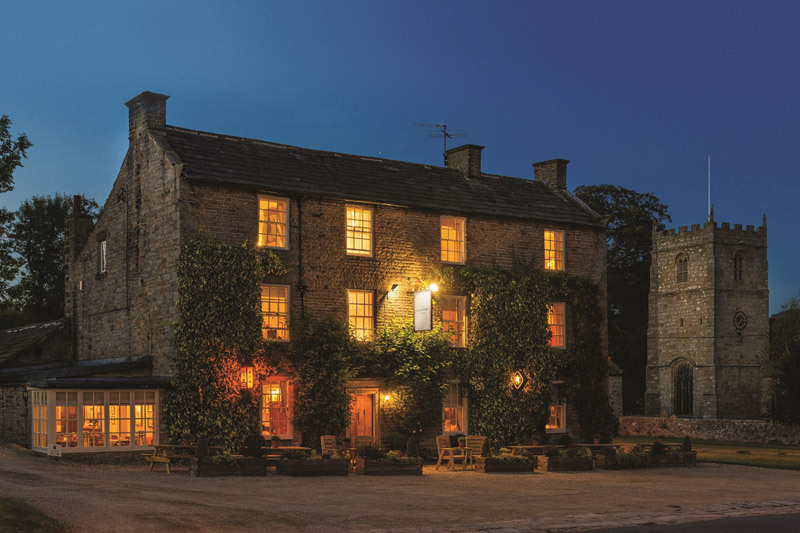 Even after two 21st-century renovations, the flagstones and oak beams remain, adding rich character to the 11 rooms and award-winning restaurant here. Head chef Joseph Colman’s menus draws on the inn’s kitchen garden, while the Dog and Boot bar is, unsurprisingly, canine friendly. The market town of Abergavenny – the so-called ‘Gateway to Wales’ – is only 12 miles to the west, yet The Bell is proud of the starry skies around Skenfrith, unspoilt by the sodium glow of streetlights. In the honey-stone village of Romaldskirk, this 18th-century inn stands proudly under a wall of creepers. While the 14 rooms are hotel-guide standard and the restaurant boasts two AA rosettes, the spirit of the venture is still tied to the local community. The family of owners Thomas and Cheryl Robinson has farmed in the area for four generations, a copy of the local Teesdale Mercury newspaper is always available in the bar, and you can even buy handmade walking sticks fashioned by nearby craftsman and terrier breeder Ken Horner. Hire the hotel’s own Mercedes or E-type Jaguar during summer months to truly explore the surrounding dales (including the stunning Bowes Museum at Barnard Castle) in style.